It was a bright and cheerful morning, with birds chirping outside and a hint of spring in the air. 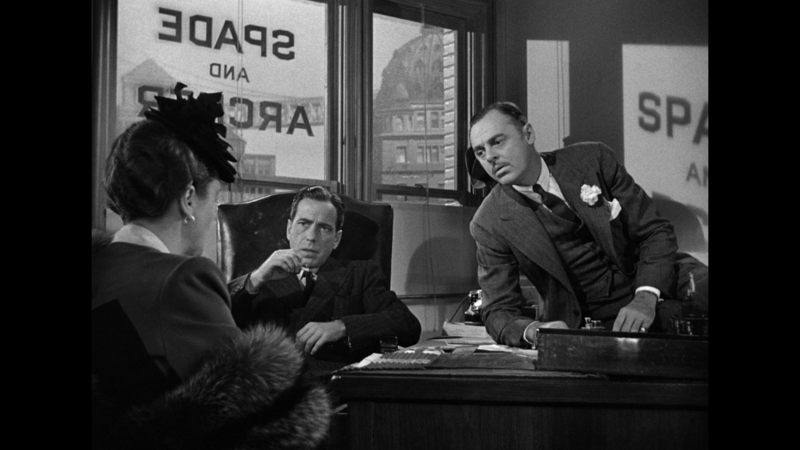 But inside my cubicle, things weren’t looking nearly as sunny. In front of me was a scientific journal article, hot off the presses, which supposedly held the answer to the biggest murder mystery in the history of our planet: the end-Permian mass extinction. I propped my feet up on my desk and steepled my fingers in what I hoped was a impressively contemplative fashion. People deserved to know the truth, but were they ready for the consequences? It’s sad to say, but sometimes doing science just requires being able to follow directions and have a modicum of hand-eye coordination. Anyone with half a brain can, for example, read numbers off a machine (something I spend a surprising amount of my time doing). What separates the wheat from the chaff is when researchers, such as Dr. Daniel Rothman and his coauthors from my previously mentioned murder mystery article, are able to take seemingly unrelated data and use them to get us one step closer to science’s golden standard, the Truth (cue angelic choir). We’ve discovered that before dinosaurs began roaming about the Earth, about 250 million years ago, life was wracked by what we call the “Great Dying.” Through comparison of the fossil record before and after this event, we can see that approximately 90% of life on Earth went extinct during this time. This is where scientists such as Dr. Rothman and his team come in–acting like players in a large-scale game of Clue, they have tried to deduce who killed everybody and how they accomplished this heinous act (my money’s on Colonel Mustard in the Billards Room with a candlestick). Other researchers have tackled this question in the past, but we wouldn’t be scientists unless we continued questioning until the evidence is overwhelming. As you might imagine, the trail’s gone a bit cold by now–250 million years will do that to you–but by looking into the records left in rocks, researchers can start to piece together the scene of the crime. We know that back in the Permian period, the deep ocean contained less oxygen than it does today, which means that fewer organisms could survive there. The decrease in deep ocean life meant that more of the food sinking from the upper ocean–phytplankton, bits of half-eaten fish, and the odd prehistoric shark–reached the seafloor. This reservoir of food, known as “organic carbon,” continued to slowly (and ominously?) increase throughout the Permian period. In addition, gigantic volcanoes known as the Siberian traps erupted during this time, covering an estimated 7 million km^2 of land in basaltic lava. These eruptions, in addition to really bumming everyone out, deposited a lot of nickel on the Earth’s surface. Rain and other forces washed this nickel into the ocean, where it sank and mixed with all the leftover food on the seafloor. 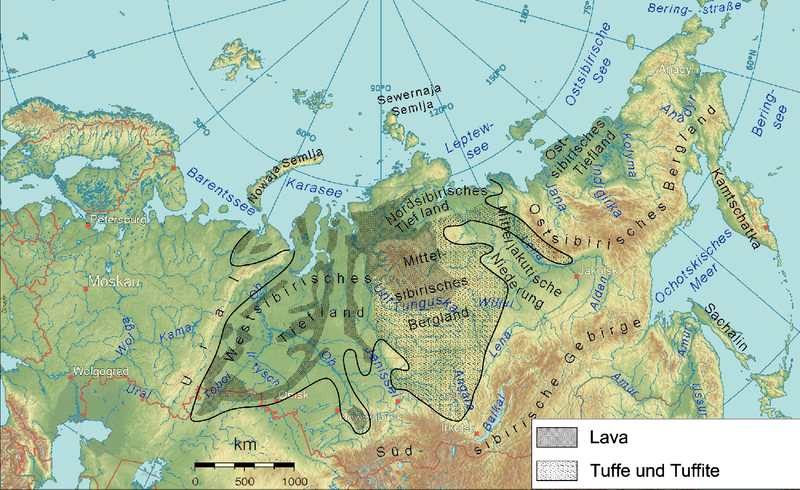 Although the text is in German, you can see the extent of the Siberian traps outlined. Eventually, in a “build it and they will come” sort of scenario, something arrived that could eat all that stored food. The key point in Dr. Rothman’s paper is the discovery that the evolution a new type of single-celled archaea, called Methanosarcina, coincided with the Great Dying. We know that bacteria and archaea can undergo something called “horizontal gene transfer,” where genetic information from one bacterial cell is inserted in another, completely different type of bacterial cell. This tiny exchange happens all the time–the bacterial equivalent of giving someone a bite of your food–but in this case, it would spell disaster for the Permian world (cue ominous DUM DUM DUMMM). Now Methanosarcina could utilize acetate, a key compound in those ocean food stores. And as they began to chow down, these cells also burped out methane as a byproduct of their feeding. One Methanosarcina cell, try as it might, wouldn’t be able to emit enough of this potent greenhouse gas to do much of anything, but the large amount of previously untapped food at the bottom of the ocean let these microbes proliferate madly. In the present day, (and isn’t this lucky for us) low quantities of nickel, among other things, limit how fast these organisms grow. 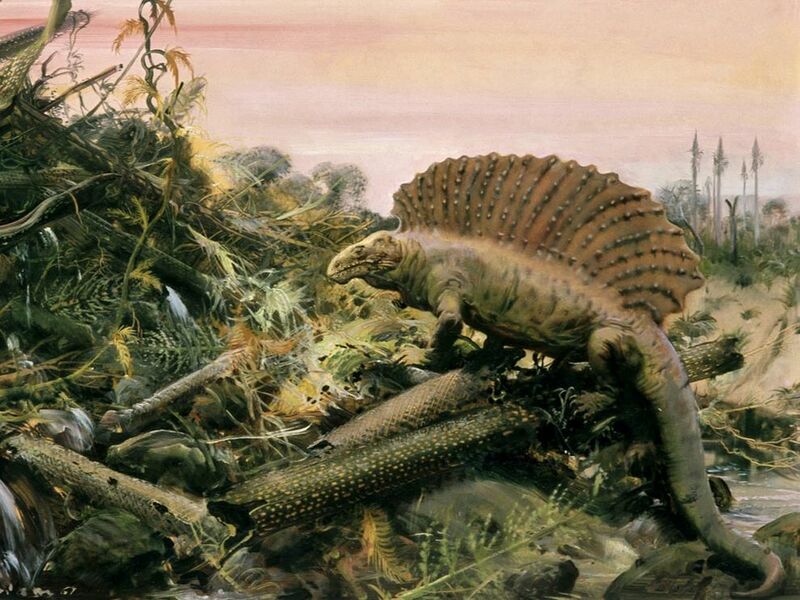 But just maybe, says Dr. Rothman, in the Permian period the Siberian traps had deposited enough of this metal to facilitate a Methanosarcina population explosion. Methane production is bad enough, but another result of this growth could have been the accumulation of hydrogen sulfide in the prehistoric ocean and atmosphere. This gas smells like rotten eggs and is highly toxic to almost all life–so you can probably guess what happens next. They didn’t call it the Great Dying for nothing. In light of his discoveries, I have but one question for Dr. Rothman–when will these killers be brought to justice? The Methanosarcina are still out there today, silent and microscopic murderers. When humans imagine all the ways in which our species might go extinct, I think it’s our tendency to imagine scenarios like giant asteroids and zombie-creating plagues. It’s fascinating, and kind of unsettling, that the change in a single bacterial gene could be our real end. I’ve recently learned that the bacteria in our bodies outnumber our own cells 10 to 1, and as I sit here writing this post, I’m feeling a little outnumbered. 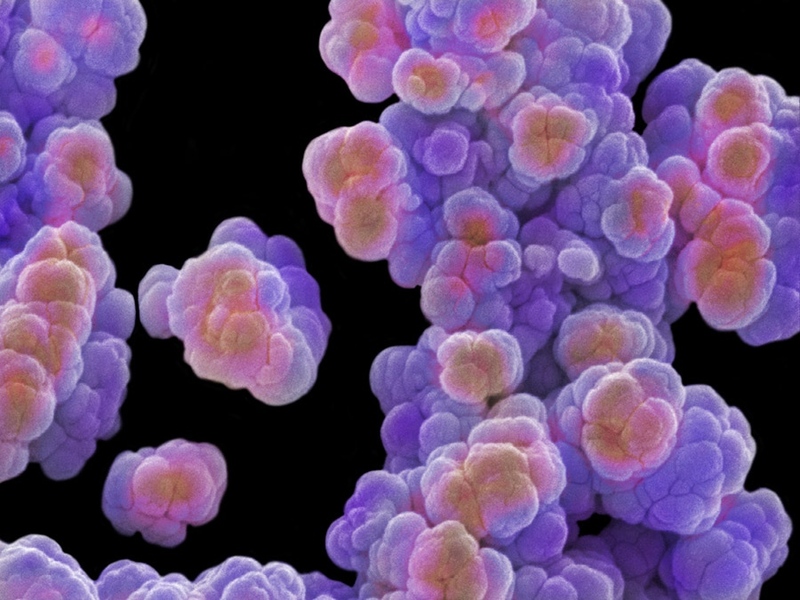 It’s easy to forget about the gigantic impacts these tiny cells have on the visible world–from helping us digest our food to destroying 1 million times great grandmother with hydrogen sulfide, these single-celled organisms are the backbone of Life (yes, with a capital L) as we know it. I only wish there was some way to stay on their good side. When will there be justice for this lizard creature? Tags: climate, methanogens, microbes, permian, prehistoric. Bookmark the permalink.